It's been awhile since I last blog. I love eyeliners as it helps me to accentuate or beautify the shape of my eyes. I love to draw dramatic eyes once in a while, but as of lately, I love to only draw the tails for a more natural look, not the whole of the upper lash line. 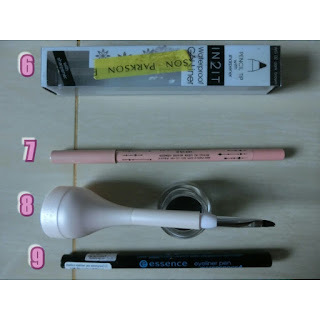 I love tight lining too so it is important for me to get pencil liners. I cannot exactly remember when I bought them all. Probably starting from early 2013 until now. A: color intensity and thickness of line. B: running them under water. C: run them again under water. D: I also rubbed under the running tap and this is the result. B: run them under water. 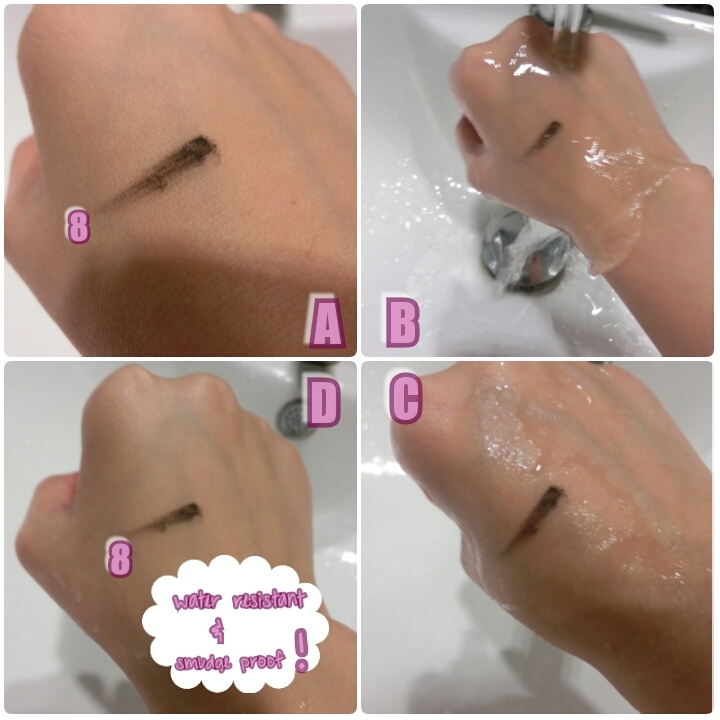 C: see the slight smear of the black liner. D: after rubbing them with the running tap, this is the result. 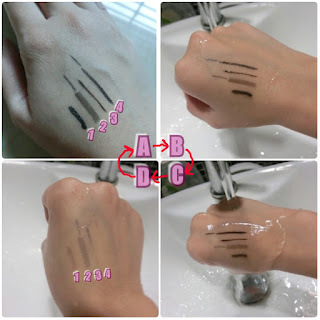 As seen, this gel liner is the strongest in being waterproof and smearproof. Amazing! ! 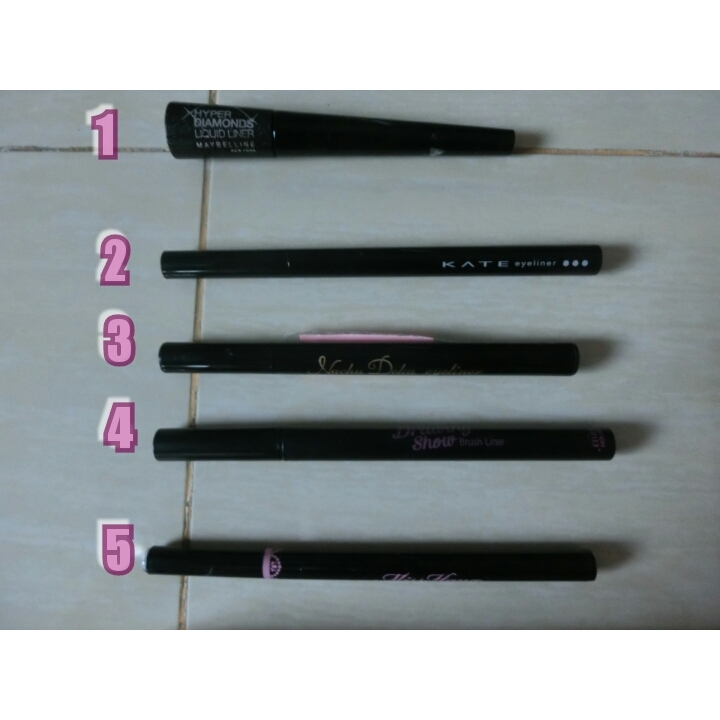 1: Good for party and easy to adjust thickness of lines. Bad part is it takes some time to dry up and also it is not waterproof. 2: Good to use when new and very natural looking. Bad point is the color intensity is less concentrated when apply on the skin after three to four months of inconsistent usage. Not waterproof too. 3: Felt tip is hard felt tip kind. Just don't really like to use it though I love how the color makes everything looks natural. Non-waterproof. 4: Of soft felt tip liner. Have a metal ball inside to reduce the rate of drying for the liner liquid inside. Quite nice to use but the color intensity reduces making it harder to apply on the eyes. Non-waterproof. 5: Medium hard felt tip of smaller size. It isn't waterproof at all and I can easily remove the eye liner with my fingers. 7: Very water-resistant. 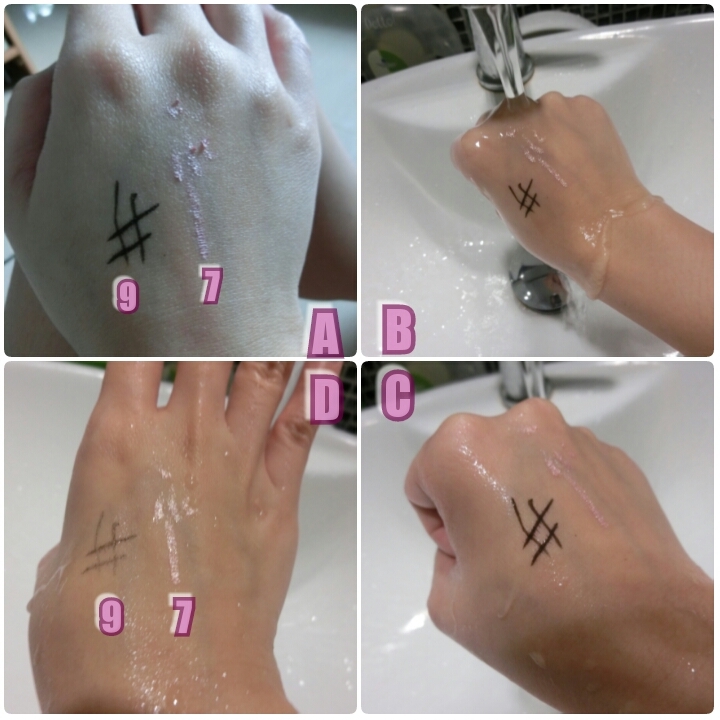 But not smooth when apply on skin (hands/eye lid) so it looks nit that nice or natural as expected it to be. 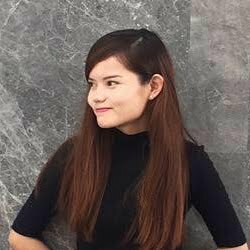 Overall, I would recommend A PIEU if it is smooth during the application but it is not for me. 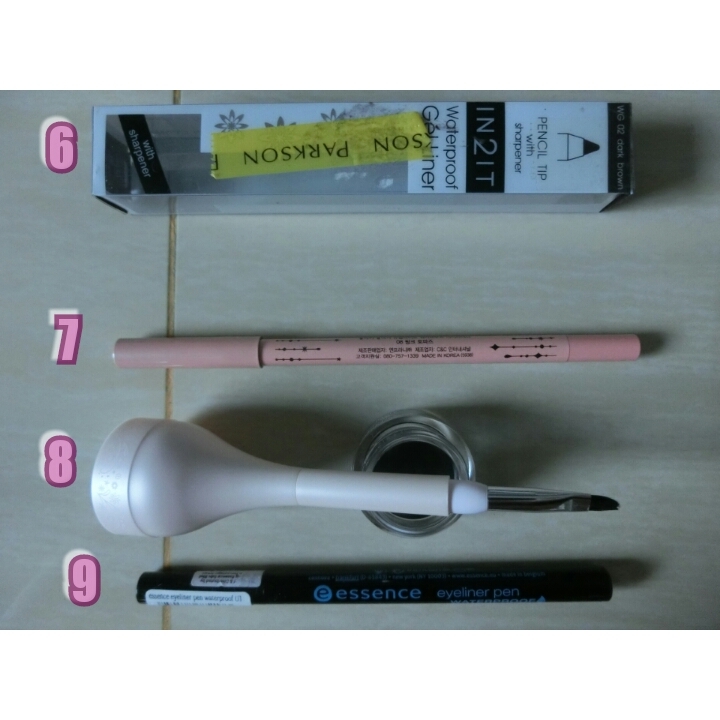 For non-waterproof, I highly recommend IN2IT Waterproof Gel liner (pencil tip) & also ETUDE HOUSE Drawing Show Brush Liner / ESSENCE Eyeliner Pen Waterproof (not waterproof). 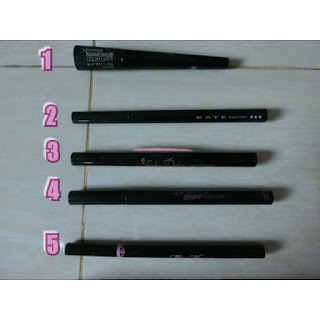 Please recommend me eyeliners you like that are waterproof and also non-waterproof.